Founded in 729 BC by the Chalcis Greeks, it boasts centuries of history characterized by a number of dominions, which remains today enhance its artistic, architectural and cultural heritage. In the course of its history it has been destroyed on multiple occasions by volcanic eruptions (the biggest of which, since we have been counting them, took place in 1669) and heartquakes (the most catastrophic of which happened in 1169 and 1693). 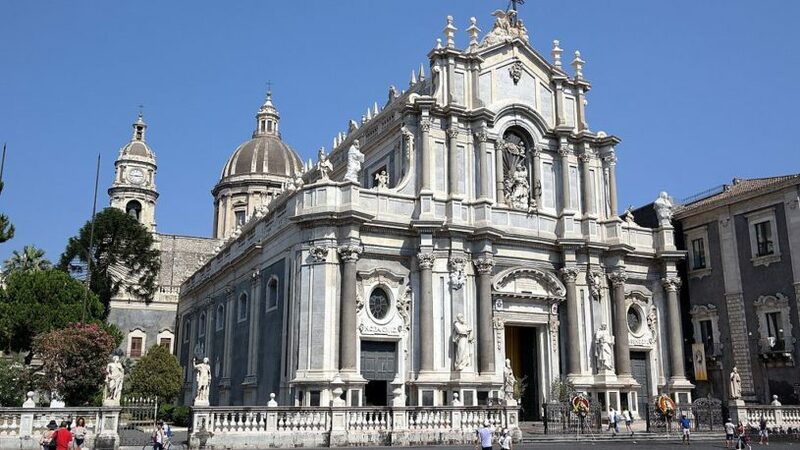 In 2002, UNESCO inscribed the Baroque of Catania old town in its World Heritage list, along with seven towns of the Noto Valley (Caltagirone, Militello in Val di Catania, Modica, Noto, Palazzolo Acreide, Ragusa and Scicli). The Riviera dei Ciclopi, favourite destination of the seaside tourism, includes a stretch of Eastern Sicilian coast which goes from Catania to Acireale, location made famous first by Homer in the Odissey, then by Giovanni Verga in his novel I Malavoglia and finally by the director Luchino Visconti, whose movie La Terra Trema is set here. 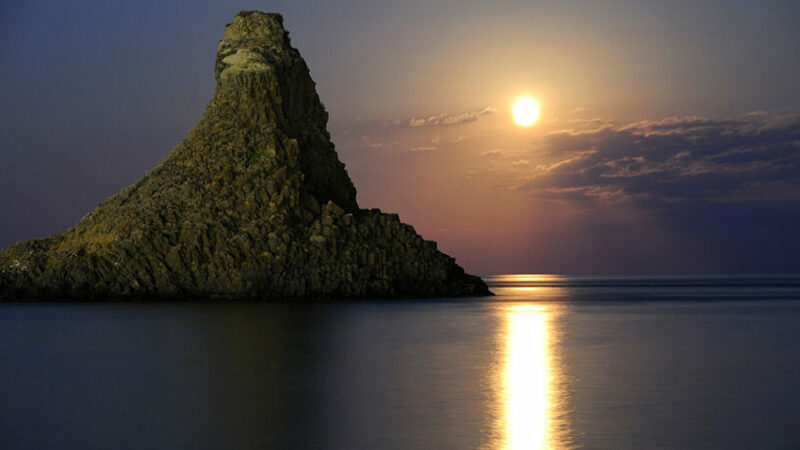 In the stretch of sea across from Aci Trezza, we can admire the fascinating and mythical Faraglioni (sea stacks) which, according to the legend, the cyclop Polyphemus threw against Ulysses on the run. Located on the Southeastern coast of the island, it is the fourth biggest city in Sicily for number of inhabitants, after Palermo, Catania and Messina; it has also been one of the largest cities of the ancient world, as well as the biggest Greek city. 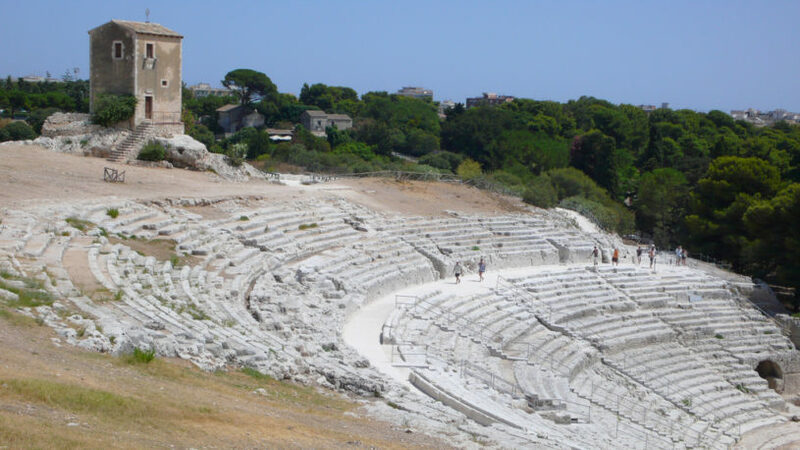 Near Siracusa there is the rocky necropolis of Pantalica, inscribed in the UNESCO World Heritage list in 2005.